The 2019 Subaru Outback near Denver bridges the gap between crossover SUVs and passenger cars, and we believe it does that quite nicely. With the new Outback, Subaru has built a vehicle that meets most drivers' needs. While it rests on an aging platform, it's still highly rated among Denver's drivers, and its standard safety features make it an appealing pick indeed. 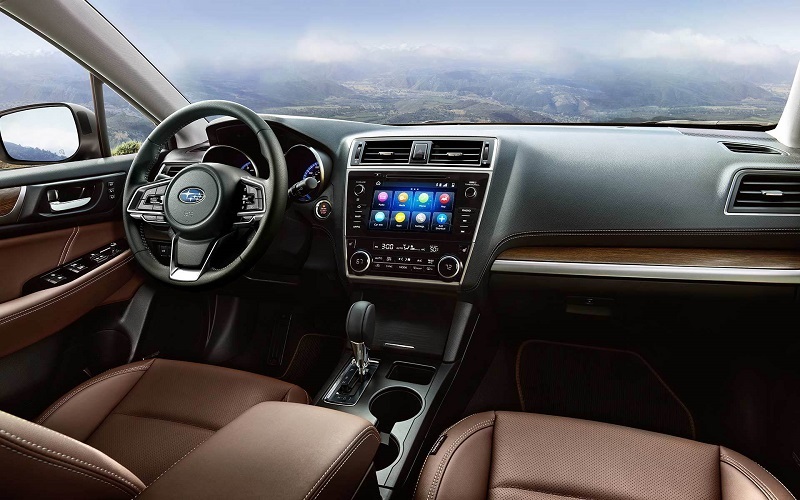 Read on to learn about the 2019 Subaru Outback, as well as our outstanding lease offers at Flatirons Subaru, our dealership serving Denver Longmont Boulder. The 2019 Outback wears the lifted wagon look well. We're big fans of its simple, but tough exterior, and we think you will be, too. On the outside, the Outback resembles a lifted Legacy wagon, although such a vehicle does not exist. Its styling is rather utilitarian, with its unpainted bumpers and rocker panel trim. On top, the roof rack found on most trim levels adds utility, but does not do much for the Outback's aerodynamics. When necessary, crossbars can be deployed to accommodate skis, bikes, and cargo pods. While there's little difference in the styling of the base, the Premium and the Limited models, apart from larger wheels on Limited models, the top-tier Touring edition has a lowered roof rack that lacks cross bars. Why Lease the 2019 Outback? We've got great lease offers at Flatirons Subaru, and we invite you to call and find out all about them. The interior of the 2019 Outback has little of the outdoorsy look some may expect, but it is nicely styled and well thought out. Most controls can be found below the 6.5" or 8" touchscreen, while auxiliary functions are placed on the left side of the wheel. Base and Premium editions come with cloth upholstery, while Limited and Touring editions have leather seating. On Premium and Higher trims, you'll find contrast stitching on the dashboard and other surfaces. 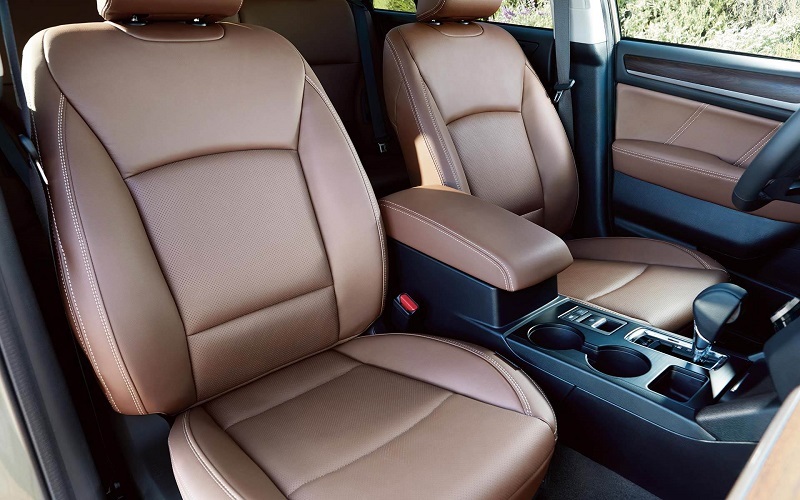 Unless you're routinely carrying tall cargo or you need three seating rows, the 2019 Subaru Outback has all the room you will ever need. Front-seat passengers get comfortable seats with good support and long bases. Base models get eight-way manually-adjustable seats, while Premium and other top-tier Outbacks have a ten-way power adjustable configuration. Rear-seat passengers have ample room, and the Outback can even carry three on short trips. 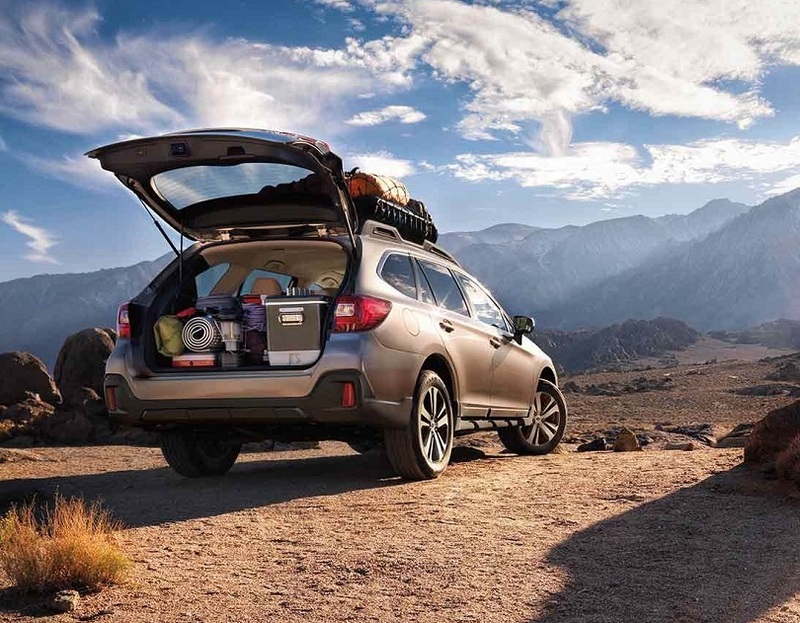 The 2019 Subaru Outback has a wagon-style cargo hold that offers great utility. At approximately 36 cu. ft. with the rear seats up, and up to 73 cu. ft. with the split rear seats folded down, there's enough room for most of your hauling needs. There's an available power lift gate on the Premium; it's standard on Touring and Limited trims. Why Lease the 2019 Outback? Visit us to learn about the great lease offers at Flatirons Subaru, our dealership serving Denver Longmont Boulder and the surrounding area. For the 2019 model year, Subaru added auto emergency braking, active lane control, and adaptive cruise control as standard equipment on all trims. All models have a standard CVT that keeps the four-cylinder and V6 engines civilized in most situations. The aforementioned flat four is the base engine, while Touring and Limited models have a 3.6L V6 that puts out 256hp. The 2019 Subaru Outback can go as far from civilization as you may want to go. Most models get the base 2.5L engine, which puts out 175hp and 174 lb. ft. of torque, but the CVT makes it feel peppier on city roads. The available flat-six helps considerably, and the transmission keeps revs low enough to save fuel in most applications. 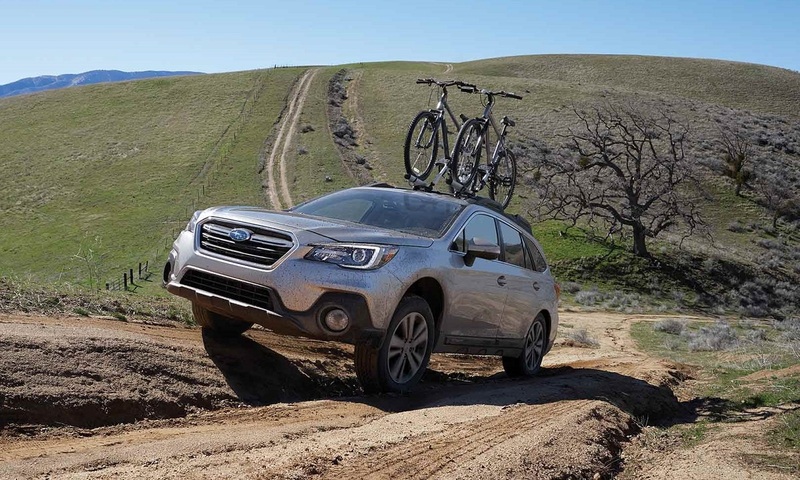 Because there's more suspension travel than you'd find in a car, but the center of gravity is lower than in most SUV models, the 2019 Subaru Outback near Denver feels equally confident on mountain roads and highways. 17" wheels are standard on the base and Premium models, and they deliver a surprisingly soft ride. The optional 18s on higher-tier models provide increased feedback without sacrificing too much in terms of ride quality. Like most other Subaru models, the 2019 Outback has standard AWD, which provides great traction on most terrain. For snow and off-road use, the X-Mode option uses hill descent control and modifies various traction control settings. 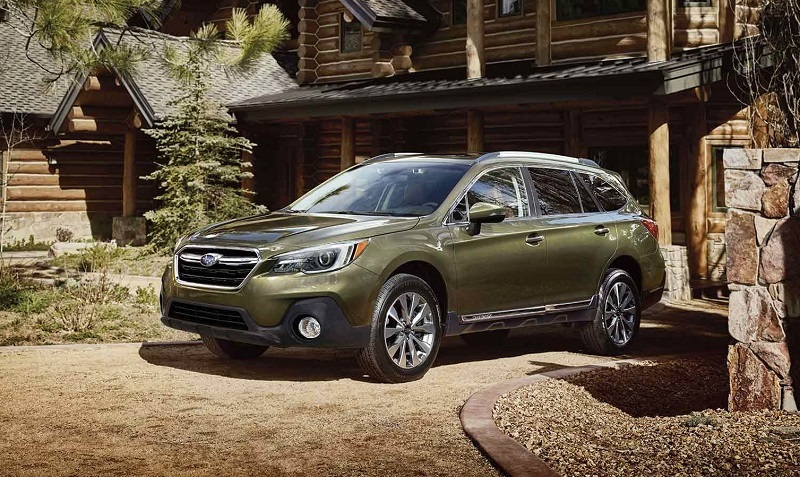 With its increased ground clearance and taller tires, the 2019 Outback feels at home on non-paved roads. Whether you need to haul a week's worth of groceries or you're taking the entire family on a Colorado mountain getaway, the 2019 Outback is a great way to do it. Visit our dealership serving Denver Longmont Boulder to find out Why Lease the new Outback, call us to find out about lease and finance specials, or come by to take a test drive. We look forward to helping you find the Outback you want!